And as stars they were christened. Their laughter & twinkle immortalized. dude, u r ready for 'http://readwritepoem.org/' do visit here n find petically talented ppl like u...i am poetically-challenged n cant critique beyond - beautiful,etc ! 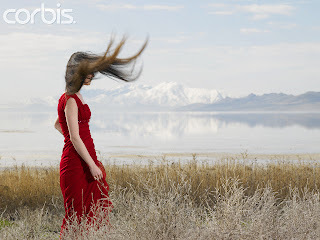 Transports you to another place that's better and has that beautiful girl with the wind in her hair. Brilliant flow and varied degrees of meaning.Bravo! as dark as the night's sky can "ever" be? & yeah I too loved the gal with her hair flying in the pic. thats why I used "never"
Your poem's lovely,ethereal and like an arrow pierces the heart. Oh wow ! beautiful ! I loved the way you put the dance forms in the lilies...awesome ! @ Cindrella -- :) I loved all seeing all those dance forms in the reality show -- "So U think U can dance..."
Every woman should have a beautiful poem written about her like that. I love the image so very much! hey i have tagged you ... peep into my blog! If women are not celebrated, then who are to be celebrated. that web site has a bucket load of great pics & all of the pics I use are always from the same. my net connection @ home is a bit of a problem child. Will sure answer your tag as soon as I get my connection fixed. @ Chriz- Hey.... I thought, U were lost in love!!! !